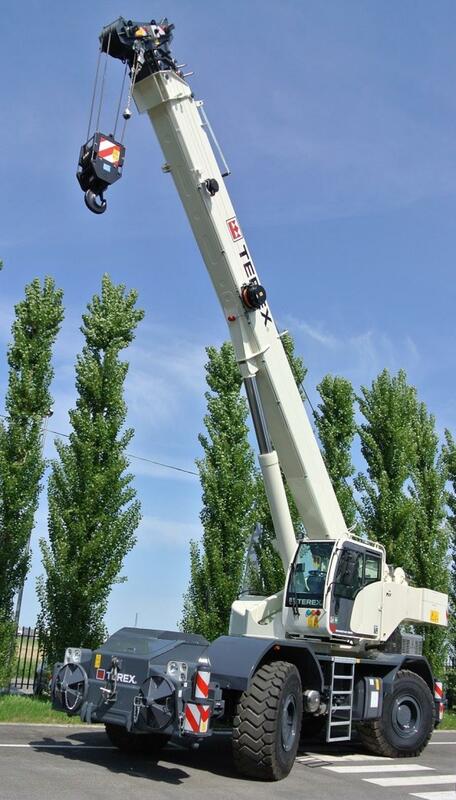 Italian distributor Tecno-Gru SRL ordered three Terex RT 45 cranes, three Terex RT 45L cranes, seven Terex Quadstar 1065 cranes, seven Terex Quadstar 1075 cranes, three Terex Quadstar 1075L cranes and one Terex RT 90 rough terrain crane in December 2017. The units ordered in January 2018 were three RT 35-1 cranes and seven Terex RT 45L cranes. Business is going great for Terex Cranes in Italy, and a look at the most recent sales figures confirms this: Italian distributor Tecno-Gru SRL ordered 24 rough terrain cranes in December 2017, and then continued its buying spree in January 2018 by adding another 10 rough terrain cranes. “Having Tecno-Gru order 34 cranes within a mere eight weeks shows that the industry in Italy truly values the quality of our products,” Stefania D'Apoli, Terex Cranes senior sales manager, said in regard to the positive business trend. “I'm sure they will be thrilled with their equipment investment”. The cranes ordered in December 2017 were three Terex RT 45 cranes, three Terex RT 45L cranes, seven Terex Quadstar 1065 cranes, seven Terex Quadstar 1075 cranes, three Terex Quadstar 1075L cranes and one Terex RT 90 rough terrain crane. The units ordered in January 2018 were three RT 35-1 cranes and seven Terex RT 45L cranes.